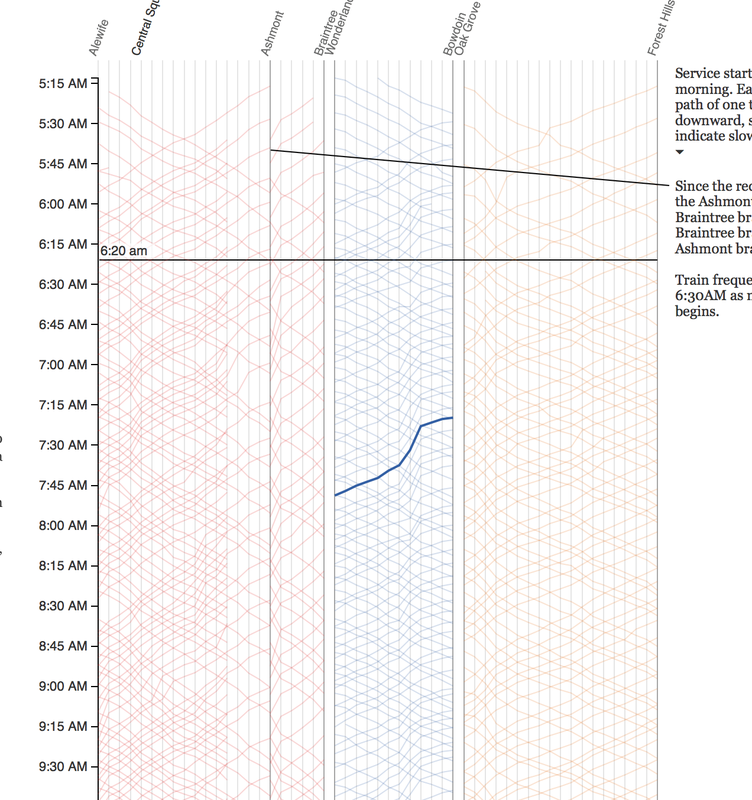 String line charts are cool and have been used to set up train schedules for well over 100 years. This guy has done it with GTFS data from the T. Annnddd it’s interactive, though not live. Very cool. Previous PostInfrastructure decay: Metro-North WALK BridgeNext PostMythBusters test a four-way stop vs. a rou^H^H^Hrotary.